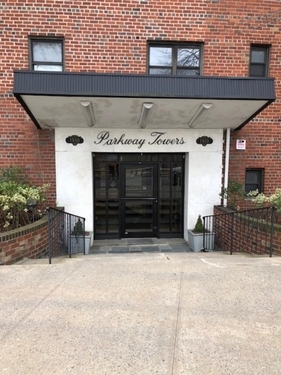 "Parkway Towers" is a modern 7 story, 52 units, corner hi-rise with a gorgeous lobby, elevator, laundry room on premises, indoor and outdoor parking. The property is located in the residential section of Pelham Bay, walking distance to the #6 train Pelham Bay station, #12 bus and express bus to Manhattan and near major thoroughfare. 1 bedroom with low maintenance open kitchen, overlooking Pelham Bay Park.